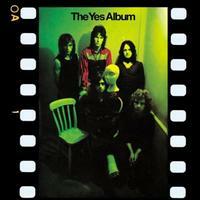 The third album from Yes, The Yes Album was a transitional disc. Peter Banks was out and Steve Howe joined on guitar. The disc had a lot of folk music in its mix, but also presented some of the sounds that would be heard on Fragile. Yet, there still remained traces of earlier Yes. I’ve reviewed most of the tracks here previously on various compilations. For the sake of consistency those track by track reviews will be used here. 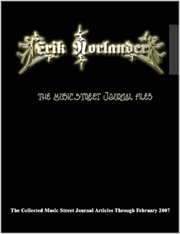 A staccato pattern starts this, quickly joined by Tony Kaye's organ playing melody over top. After this segment, the band bursts into a fast paced jam, Steve Howe soloing all over it. They move this one forward in this way for a time, then drop back to just keys. The first verse is sung with just those organ chords as backing, then Howe screams out on his strings, and the band push the jam back to where it was earlier. This mode is the order of the day for a time; instruments laid over top at different points, 'til they drop it back to a walking bass line for the next verse. Squire holds the piece with Howe providing ornamentation for a time until the band returns to the staccato section. They create a new instrumental segment from this until Howe solos again, this time punctuated at points by the entire group. They then move this into a soaring instrumental segment, moving the track to new heights. This extended jam shows elements of the sound that come to fruition on Fragile. Howe cuts loose with some his most tasty riffing ever on this cut. After a long time working through this, they drop it back to just organ, then a new mellow melody takes over, providing both the transition and resolution to the earlier frenzy. They build this new melody line forward recreating it for a time until Howe takes over again, then the band rejoin for a reprise of the earlier quick modes. This one really is a showcase for Steve Howe's guitar work and a real smoker. This folk oriented acoustic guitar solo is bouncy and fun. A mid-paced jam starts this one, the band working through it and basing the first verse on it. It drops back in an almost stuttering break, then moves back up the pervious segment to carry forward. The main melody is both straightforward and quirky, and the musicians go forth on various short musical excursions from time to time as they work through the discovery of it. Eventually it drops to a fast paced acoustic guitar line that serves as a bridge into the next section as well as the backdrop for the next set of vocal elements. An airy jam ensues with an almost jazzy texture, seeming to stream skyward. This new melody carries the cut for a time. As this resolves out a new guitar strumming pattern takes the piece. The band eventually works this up to be the backdrop for a fairly frenzied prog excursion that serves as the extended outro. This segment is a trademark Yes musical exploration. Beginning with an acapella chorus round sung by Squire and Anderson, Howe's gentle acoustic guitar heralds the coming of the other instruments. They join in a bouncy folk rock style jam. Trails of melody are woven over top of this at times, and the vocal harmony arrangement is stellar. When the organ enters later it hints at majesty to come, and the band quote John Lennon's "Give Peace a Chance." This crescendos, then a new bouncy rock and roll jam comes in, Howe's guitar playing awesome leads all over it. The guitar solo break is especially potent. The cut shifts shortly after this to a short syncopated change of pace, then returns to the previous section. A reprise of the chorus with only organ accompanying it replaces this section and fades down to end the cut. I’ve always felt that this little tune didn’t get the respect it deserved. There are jazz chords and in some ways it feels like something from the Peter Banks period of the band. It’s a short tune, but full of bouncing fun and a lot of cool changes. There are some cool keyboard lines and in a lot of way this feels like a combination of the types of sound from the first two Yes albums and this disc, and yet, it also somehow foreshadows the sounds of Fragile. And, all in a concise little piece. This track showcases a lot of Yes trademarks. We get an arrangement that varies from harder rocking sections to mellower counterpoints. It has lots of great vocal harmonies. Of course, all members of the group put in some great showings in terms of showcasing their talents. This is a catchy tune that’s complex without really seeming like it. It was always one of the classic Yes songs and came from The Yes Album. The harder rocking guitar solo section is quite cool, and yet it gives way to one of the most gentle passages of piece. Such is the way Yes always worked the contrast between loud and soft, hard rocking and mellower motifs. The bouncing sort of staccato section later is quite a bit of a precursor to the type of sound the band would display on the next album, Fragile. Here we get the single version of this classic Yes tune. For the single edit of “Starship Trooper” they just cut it down to the first section of the cut. The version originally presented on the disc was a live recording. Here’s the original studio rendition that hadn’t been released before. Ultimately the music is essentially the same at least on the early sections, but it’s interesting that they used the live recording before. There’s seems to be a bit of classical guitar set in the middle of this, and this version is a little longer, so perhaps that was the reason for using the other rendition.